Hello lovely readers! I am soo swamped with ideas for this holiday, I just don't think I have time to do them all. Especially now that I have this horrible flu, ugh I hate getting sick. 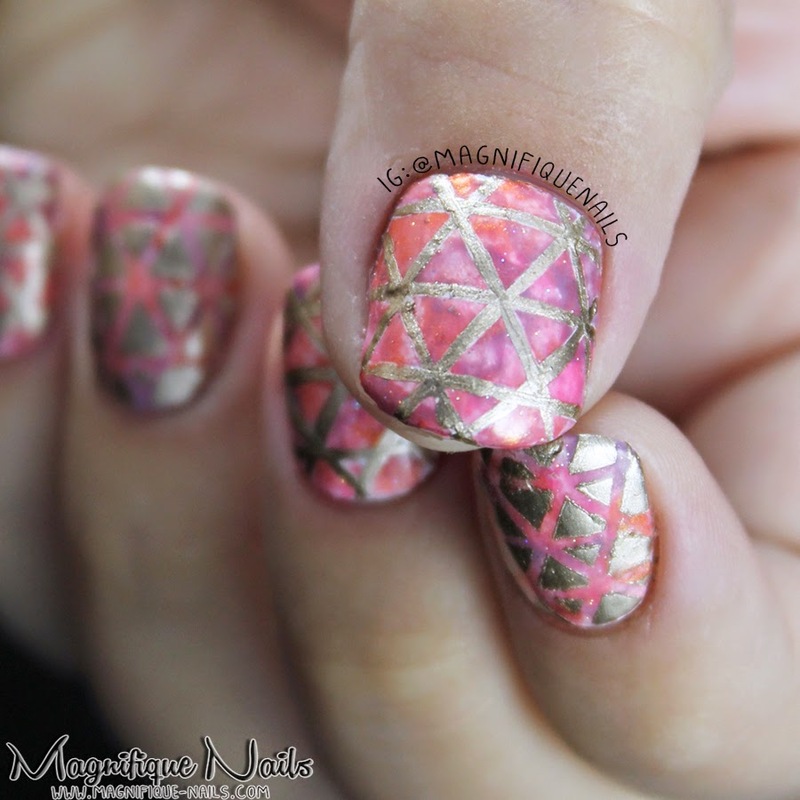 So for today I have for you my next Alphabet Nail Art Challenge: T for Triangles. I've been dying to do these, since I've seen everyone doing them, I wanted to jump in as well. For the base, I applied two coats of OPI Alpine Snow (not pictured, oops!). Once the polish dries, which is key, I used Gimimimi tutorial to add the striping tape (also not pictured, oopsy! ) accordingly for the thumb, middle finger and pinky. I for one can say this can be very irritating, since I have tendency to be very impatient. However, the end results are worth it! As for the forefinger and ringer finger, using a makeup sponge I added SpaRitual Love, SpaRitual Reverse and Essie Warm & Toasty Turtleneck. Then I dabbed it onto the nails (I used the same method over the stripping tape). 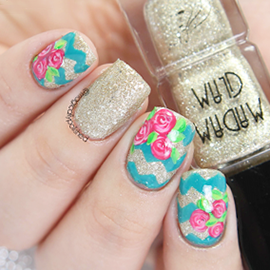 To add some sparkle I applied Out the Doors Hologram Top Coat (I did this to all the nails). Then over the stripping tape nails I applied one coat Essie's Good as Gold.